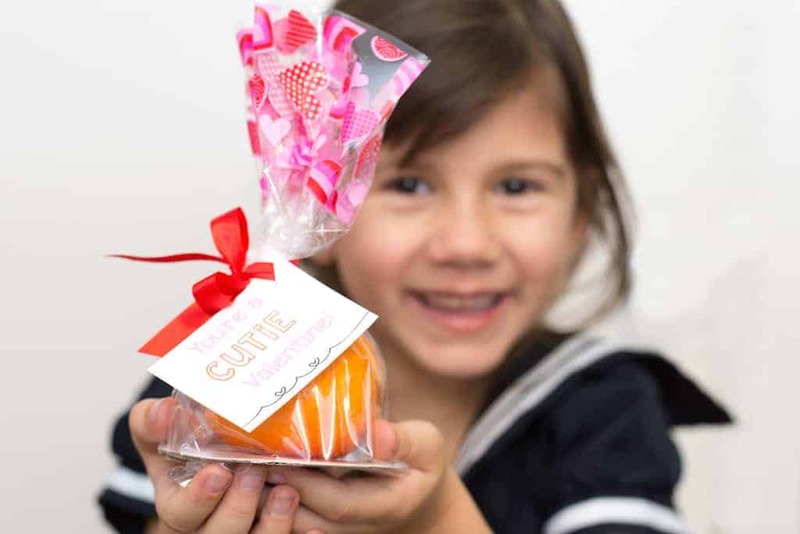 Make these cute candyless, healthy alternative “You’re a Cutie” to Valentine’s Day treats for your child’s classroom. Free printable Valentine tag! Every year my daughter participates in a Valentine’s Day exchange at school. She comes home with a class list and we get busy creating a sweet treat and custom cards for her classmates. I love watching her thoughtfully select just the right card for each classmate and she loves coming home after the exchange with an overflowing card box from her classmates. Inevitably that card box is also full of sugary candies. Now, I’m not anti-sweets. I can even admit to pilfering a few of those treats for myself but I know I’m not the only mom who “relocates” the candy to the trash at the first available opportunity. Some may argue that chocolate is crucial to Valentine’s Day celebrations, but I think everything in moderation! There are plenty of sweet and healthy alternatives that are still “Sweet As Candy” and good for you too. This Valentine’s Day I partnered with Cuties & Mighties to encourage families to swap sweets for fresh fruit this Valentine’s Day. We decided they would make the perfect treat for Maddilyn to share with her classroom. Especially since we already knew they would be a hit with her classmates because we regularly have Cuties in our house. They’re an easy snack for little fingers to peel on their own, they’re healthy and they’re allergy friendly! We created these hassle free Cutie Valentine’s Day Treats. I just picked up some Wilton Valentine’s Day Treat Bags, that came up complete with card board base and ribbon to tie them. 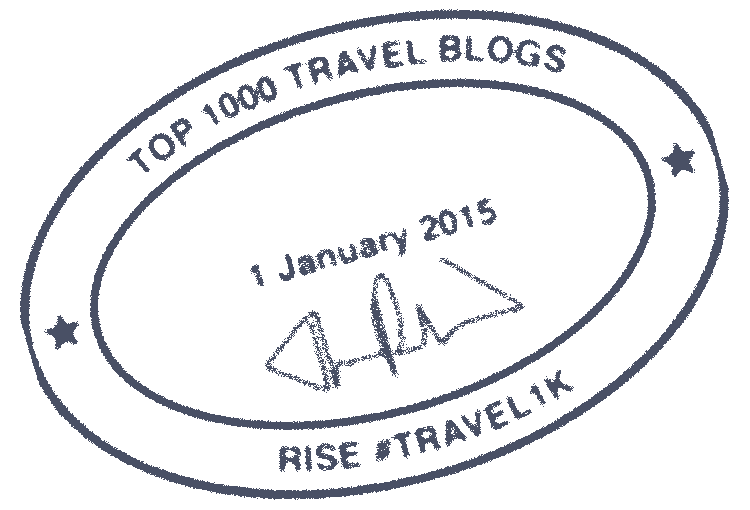 Then I whipped up this custom “You’re a CUTIE Valentine!” printable tags (available for free download here). The back sides are blank so Maddilyn could write a personalized message and sign her name. Then it was just a matter of assembling the treats with her, easy peasy! 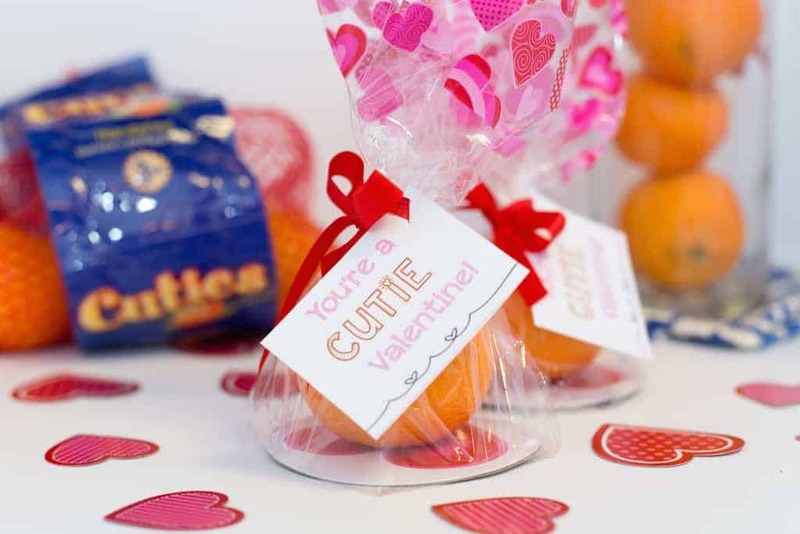 The sweet things you can do with Cuties for Valentine’s Day are almost endless: Write your sweet messages directly on the fruit, arrange them in heart shaped fruit platters, swap them for a box of chocolates or turn them into a craft for the classroom. Haha, but seriously, I love the healthy, but adorable, twist you put on this Valentine. 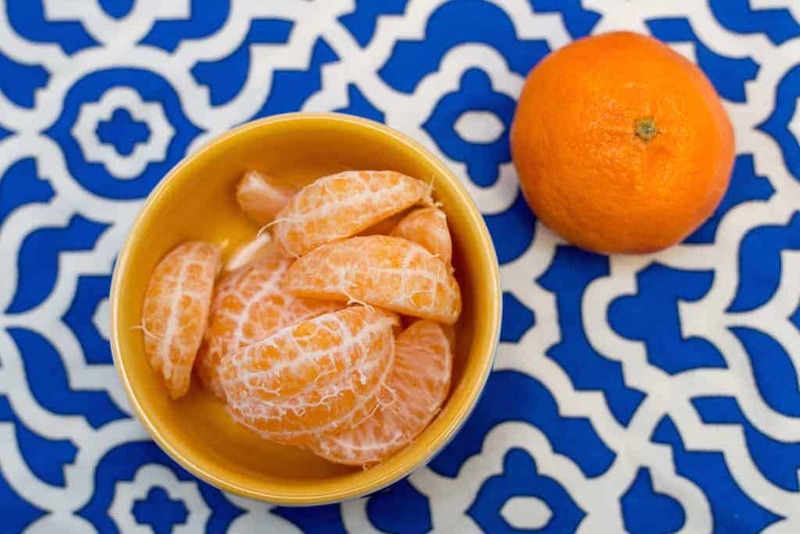 This seriously encourages kids to eat healthy (most kids LOVE cuties anyway), and it’s such a neat presentation. After all the candy over Halloween, and then in those Christmas stockings, candy is really the last thing kids need, haha. Thank you for sharing! You have met the challenge for a healthy valentine treat. Kudos to you with your cutie idea. This is a great idea! My kids love Cuties – I would have to buy an extra bag just for them to eat while we made these lol. those are just a cute diy ! will do this with my daughter! she loves crafting and diy!